En route from the farm to the dining table, more than half of the world's food ends up in the dump — most before it even reaches consumers. 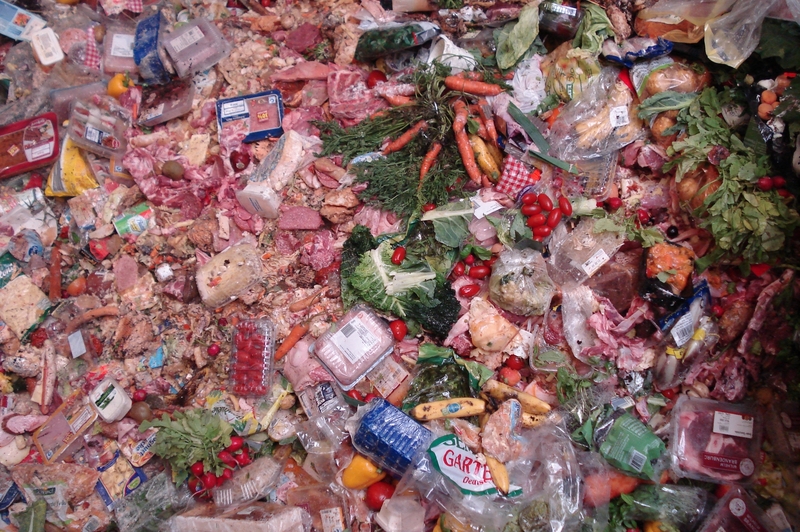 European households throw away 100 billion Euros worth of food each year, enough to feed the world's hungry twice. Why are ever-greater quantities being destroyed? We seek explanations: from supermarket staff and managers, to bakers, wholesale market inspectors, welfare recipients, ministers, farmers and EU bureaucrats. We all contribute to this system that disastrously impacts the global climate. Valentin Thurn was born in 1963 in Stuttgart, Germany. He is married and has three children. Thurn has directed and authored television documentaries for the national German channels ARD and ZDF, the French-German channel Arte, the international channels Deutsche Welle TV and Transtel, the regional channels SWR, WDR, NDR, BR, ORB and HR, and the Swiss Television, DRS. In 2003 he founded the film production company, THURN FILM, in Cologne, Germany. Thurn has written radio features and articles for magazines such as Die Woche, Die Zeit, Natur & Kosmos, and Merian. He has also published the books WüstenErde on desertification, Klassenfeind Natur on environment in Eastern Europe, and the Directory of Environmental NGOs in Central and Eastern Europe. He has taught at international congresses and workshops including: the Goethe Institute in Bombay, India; Foundation Miguel Alemán in Mexico City; Ecotourism congresses in Johannesburg, South Africa; Guayaquil, Ecuador; RTL Journalistenschule in Germany; Ecopresscenter in Macedonia; Third World Journalists Network in Germany; The Ethics in Economy Network of Germany; Fachhochschule Köln (University Cologne, Germany); and the 2008 International Congress of Investigative Journalists in Lillehammer, Norway. Thurn has served as a member of the founding board of the International Federation of Environmental Journalists (IFEJ), and Secretary General from 1993 until 2001. He is also a member of Reporters Without Borders, Netzwerk Recherche (investigative reporter’s network), and AGDOK (the German association of documentary filmmakers).